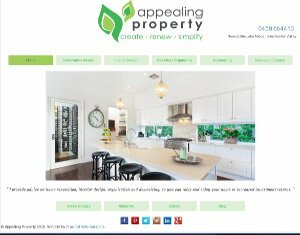 Every business needs a website as a 'home base' for their online presence. But not every business can afford to outlay many thousands of dollars to a specialist design house. That's were we come in. Practical web Solutions can get your business online for as little as $350. 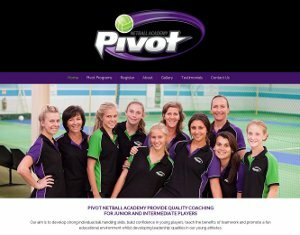 The end result will be a professional looking website to promote your business or organisation. What do you have to do? Just tell us your ideas and we'll take care of the rest. More than half the visitors to your new website will be using a mobile device, either a tablet or a phone. 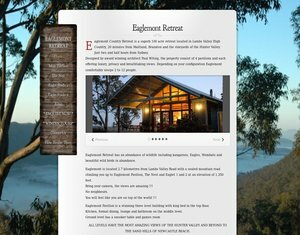 Any new website must use a responsive design , that is it must look good on any sized screen from a desktop PC down to a smartphone. 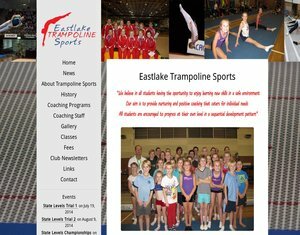 Our websites are all designed from the ground up to be mobile friendly. It is scary how much control Google has in the internet world. Businesses live and die by their Google rankings. Remember the Yellow Pages and how you couldn't afford not to be in it? Well Google is the new Yellow Pages.Getting on the first page of this major search engine is not so easy, and any new web design MUST be built from the ground up with this goal in mind. Just check out this 'SEO Starter Guide' to get an idea of whats involved. This is the first and most important step in your online marketing strategy and you can trust our web designs are fully optimised for Google. If you are in Retail you need to be online! Our ecommerce solutions are designed to look great and also be easy to manage. Based on the industry standard Wordpress and using the tried and tested Woocommerce ecommerce backend. We can custom build an online store for you. 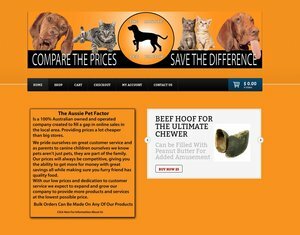 Check out Aussie Pet Factor to see what we can do for you. Social Media is another essential piece in the online marketing puzzle. Facebook, Google+, Twitter etc. PWS can advise on your social media options and link your website to your social media accounts. Social media activity and involvement in online forums is an excellent way to boost your websites rankings and popularity. At Practical Web Solutions we work with you to bring your ideas to reality. We aim to make the process as simple and pain free for our clients as possible. Just tell us your requirements and we'll take it from there. From registering your domain name to designing your website and hosting your website. Many web design companies don't want to know about you after your website goes live. It can be extremely difficult or expensive to make small updates to details on your web site. At Practical Web Solutions we like to look after our clients. If you want to make some small updates such as a telephone number or address just give us a call and we'll make the changes.... no charge. 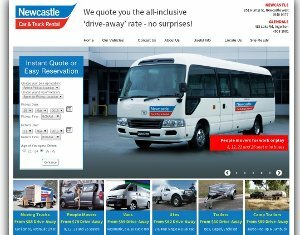 Our web sites are hosted in a Newcastle based datacenter operated by Vocus Communications. Prefered datacenter for local companies such as NIB Health Funds, Hunter Water Corporation and Port Waratah Coal. If you have specific hosting requirements we can take care of that as well. Make your business look more professional, get rid of that gmail or outlook email address. We can set up your email for you using your very own domain name.